Apple has consistently been securing exclusive content, like Drake's latest album "Views", Taylor Swift's "The 1989 World Tour" concert film and music videos from The Weeknd and Eminem. In a new feature from Rolling Stone, Larry Jackson, Apple Music's head of original content, said the goal of securing that exclusive content is to put the service "at the intersection of all things relevant in pop culture." Jackson says that the model is "MTV in its Eighties and Nineties heyday. You always felt that Michael Jackson or Britney Spears lived there. How do you emotionally conjure up that feeling for people?" 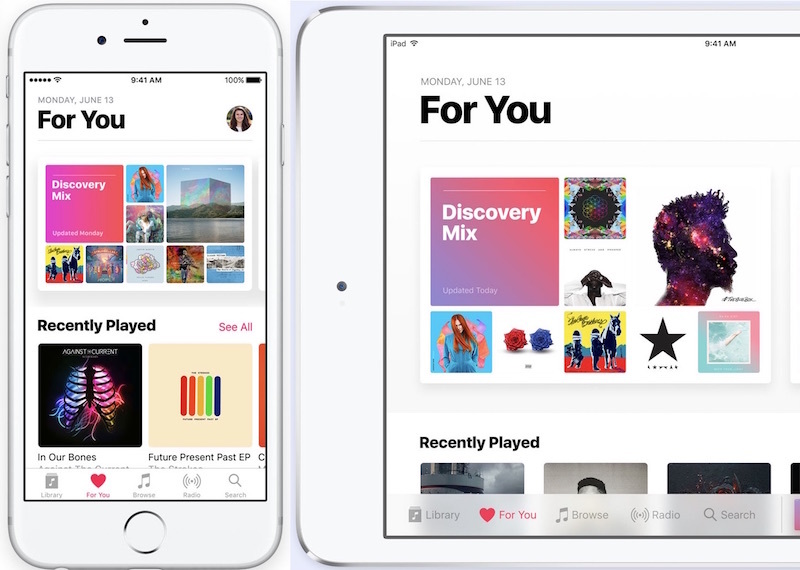 Apple's deals with artists not only include exclusive streaming windows for singles and albums, but funding for music videos. For instance, Drake's "Hotline Bling" music video was funded by Apple, as were two videos for The Weeknd's "Cant Feel My Face" (one of which was not released). The goal is to help artists feel like they can do interesting things with Apple. Monte Lipman, head of Republic Records, home of Ariana Grande and The Weekend, tells Rolling Stone that the Cupertino company has been prepared to do things other companies haven't. "Lately they've been very clever in coming to us with what we consider groundbreaking opportunities," he said. Many of these opportunities include contributions from Apple executives. Tim Cook "weighed in" on the production of M.I.A. 's "Borders" music video while Swift says Jackson helped her brainstorm, make plans for and edit her concert film. That collaboration led to the Apple Music commercial where Swift raps along with Drake and Future's "Jumpman." The commercial helped increase "Jumpman" sales 43 percent, according to Rolling Stone. However, Apple's strategy hasn't always worked out. Jackson says the company was in talks to host Kanye West's "The Life of Pablo." West eventually pulled out of talks to put his album on rival service Tidal, which he co-owns with Jay-Z. He chose Tidal over Apple Music because he "wanted to work with his friend," according to Jackson. While Kanye West initially said the album would "never" appear on Apple Music, the album did eventually come to the service. Ultimately, Jackson told the magazine that the philosophy at Apple Music is "to go and get it done" when it comes to securing original content The service also has deals with Keith Richards, Selena Gomez and the Black Eyed Peas. Most recently, Apple gained the rights to exclusively launch Dreezy's debut album "No Hard Feelings." The service will also soon start hosting original video content like Dr. Dre's "Vital Signs" TV show and a six-episode documentary series co-produced with Vice. I hate to see music going the way of exclusives, because no one service will get them all. No one wants to join Apple Music, Spotify, Tidal, Google Play, and Amazon Prime just to listen to all their favorite artists. I'll stick with buying CDs before I subscribe to 5 music services. Exclusives has always been around, this is nothing new. Good on Apple for collaborating with artists to create content. No way... Exclusives are the worst for consumers and I will gladly support the services that don't try to get exclusives. Sorry, but the article's justification for exclusivity is laughable. Especially for someone like Drake. Do you honestly think he was struggling for finding funds for any of his music video? No. Apple saw his streaming numbers and sales, and offered him a good amount of cash so most of the traffic for his songs go through Apple. It's as simple as that. It's not to help any of these artists. It's to force customers to use one platform over the other. MTV in the 80s and 90s? No wonder I have zero interest in Apple music and never have any idea who these supposed talented "artists" are. I never cared about or paid attention to MTV in the 80s or the 90s (or the 00s or the 10s) because I don't need a TV or radio station to tell me what music to listen to, I already know and own the music I like and have no need to "discover" aggravating obnoxious noise that is called "music" for some reason. Exclusives are kind of annoying and I'd feel better about my choice of streaming services if they improved the service and features, but I get that exclusives do bring hype. Although if they're going for an 80s/90s MTV feel then I wholly support reboots of both Singled Out and Remote Control. Just, please, no Kennedy. Yes, but "exclusives" in the past didn't typically really exclude a segment of the music buying public from obtaining the content. If a deluxe version of your favorite artist's album was exclusively available at, say for example, Target you would just go to your nearest Target store even if it meant going out of your way to get it. It wasn't really a huge sacrifice. But making content exclusive to a particular music streaming service is screwing over the consumer. It's a well known fact that people only commit to one platform at a time and no one, not even die-hard music fans will fork over an extra ten or twenty bucks per month to use other streaming services just to have access to their favorite artists' music. It's not realistic in the least bit. Perhaps the artists and labels who insist on platform exclusives do this in the hopes of deliberately frustrating music fans and inciting them to go buy music instead of paying a pittance for having smorgasbord of music readily available to them, but what they don't realize is that people can retaliate by simply resorting to piracy again. The music industry has a knack for shooting itself in the foot. They never learn from their mistakes. "Exclusive content"... even the name is ugly. It's about exclusion. When content providers start lining up exclusives, it means that they don't plan to compete on an open, level playing field, in terms of quality of service, breadth and depth of content, and price. It means they intend to get subscribers by coercing them ("if you want ____, you have to sign up with us") and to hurt competitors by making them unable to offer that same content... but possibly with better service, more other stuff, and lower prices. You can find almost anything (99.999999%) if you really want/need on the web the majority of which (99.999998%) you can even find for free. One thing I know. If "exclusive" becomes the norm, expect "alternative" solutions to become the popular again. Hey Apple how about some exclusive stuff that isn't rap or top 40 crap?